BRAND NEW TIRES. PRICED AT WHOLESALE! Spotless condition inside and out. 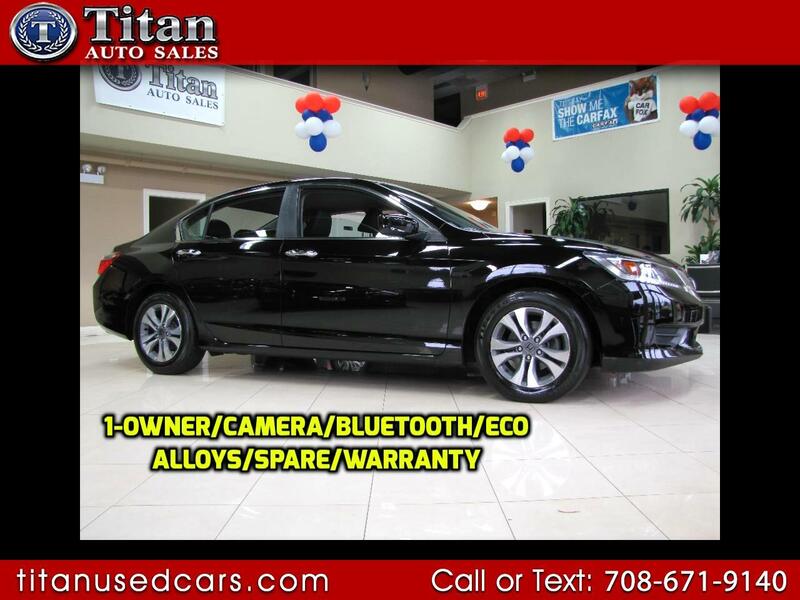 Features a back-up camera, Bluetooth connectivity, auxiliary audio input, 2-zone automatic climate control, front head and side air bag, stability control, steering wheel mounted controls, tire pressure monitor, power mirrors, rear defrost, power windows & locks, cruise control, adjustable steering wheel, security system, automatic headlights and a 2.4L engine. 1 owner Clean Carfax report. Come in and see why our Quality, Prices and Reputation can't be beat. Check out our hundreds of positive google reviews.